Summer is really close and the weather is getting better and better. My daughter is exhilarated because warm weather means more playing in the garden, rides with the bicycle and visits to the playground! At the same time it means more laundy for me! But who cares? I recently discovered at the farmer’s market these red potatoes! Didn’t know that they existed. So at once I decided to try them. I was so curious what they would look like inside and how they would taste. I was disappointed when I found out that they have the same color as the clasic ones but I have to admit that they are really delicious! I roasted them with garlick and fresh oregano and they were yummy. But something was missing… The second time I cooked them I made a BBQ sauce and we literally devoured them! So let’s get down to cooking! Wash potatoes and wipe them to remove humidity. 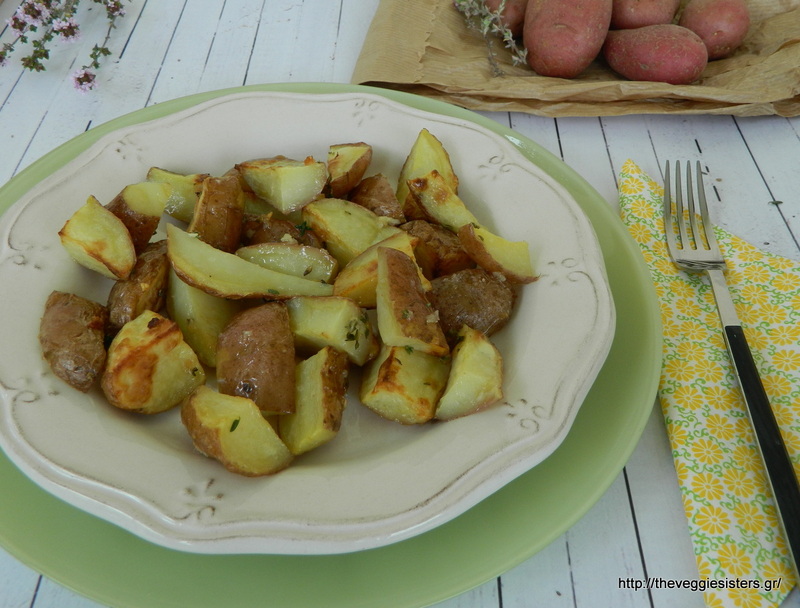 Cut the potatoes in half or quarters.Combine all ingredients in a large bowl until potatoes are well coated. Lay them on a baking sheet lined with parchment paper. Bake in preheated oven at 190 C until tender and golden brown about 35 minutes. In a sauce pan saute onion and garlic in olive oil. Add all other ingredients and pour 1/2 glass of water. Allow to cook for a few minutes until the sauce thickens. Remove from heat. 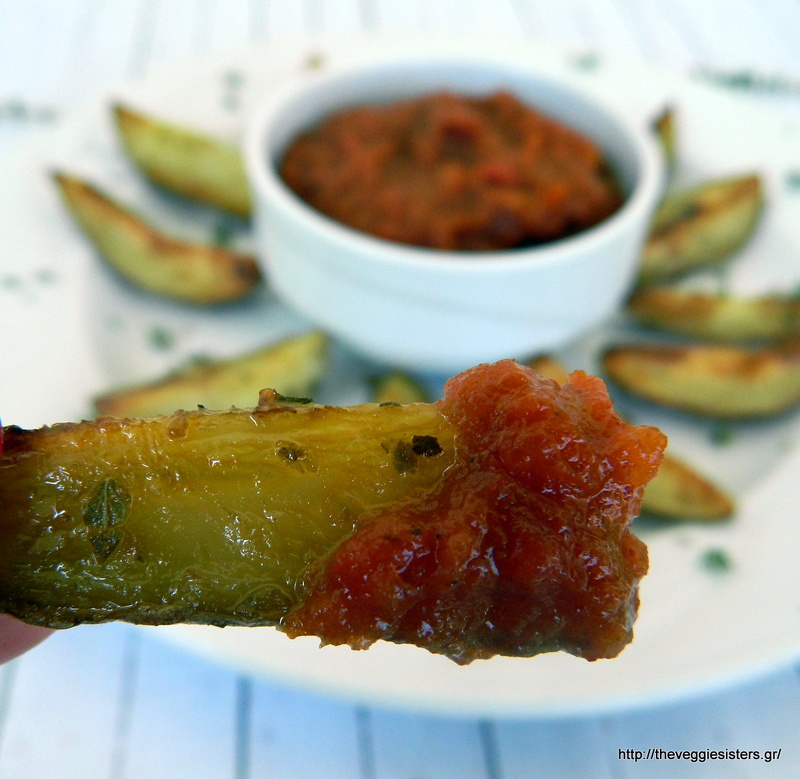 If there are onion pieces, you could puree the sauce in a blender. Enjoy! 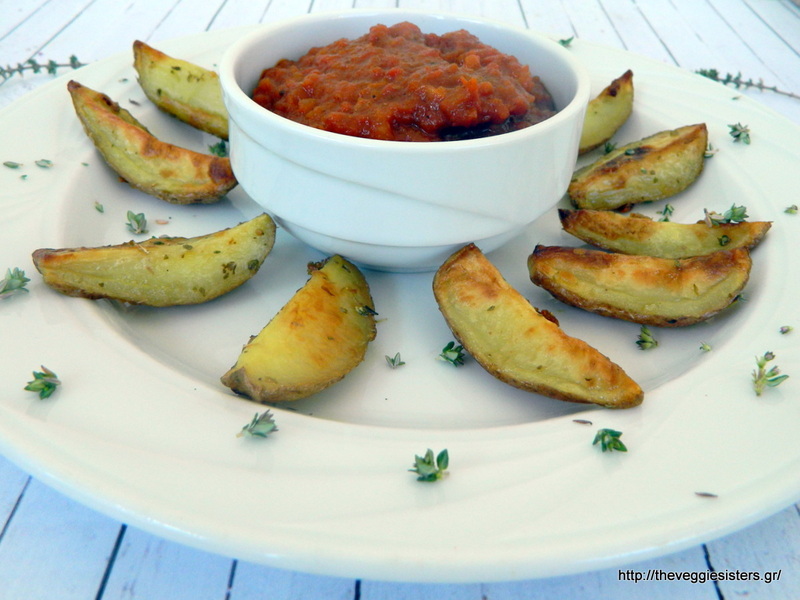 Share the post "Roasted red potatoes with homemade BBQ sauce"